What does The Junkluggers Franchise Cost? With a low startup cost and red hot industry, there's never been a better time to become a Junkluggers business owner. Trash is a $40 BILLION dollar industry in North America, and the need for junk hauling is on the rise. 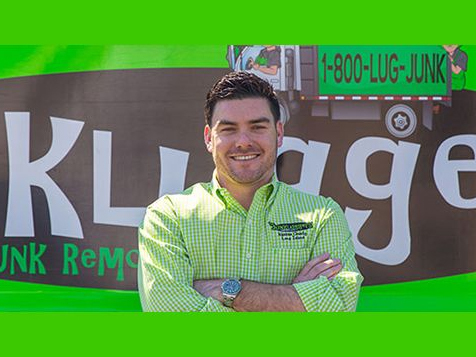 With ten years of experience in the business, The Junkluggers have experienced every aspect of the junk removal industry and with that knowledge we are able to help you start and grow your business while avoiding many of the costly learning curves we encountered along the way. Build your own profitable business and bright financial future with a Junkluggers today. 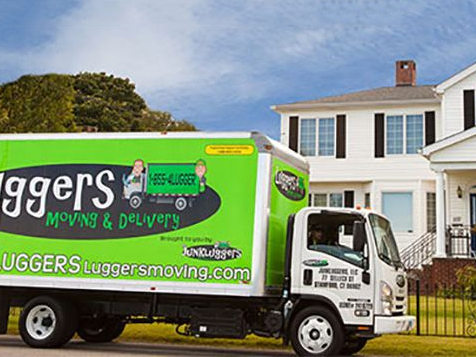 Join a fun and established brand that is customer-centric and committed to an eco-friendly approach to junk hauling. 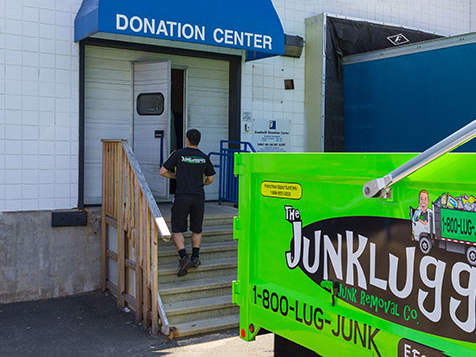 With ten years of experience in the business, The Junkluggers have experienced every aspect of the junk removal industry and with that knowledge we are able to help you start and grow your business while avoiding many of the costly learning curves we encountered along the way. 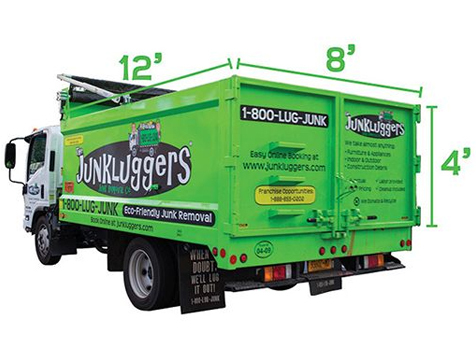 Full Branded Open Body Dump Trucks: Our neon green trucks are easily recognizable and fully customized to cater to the needs of the junk removal industry. Through a strong relationship with our truck vendors, we also ensure competitive pricing and on time delivery so you can get started on schedule. Centralized Call Center: We have a team of friendly, reliable and well-trained representatives managed in house that are there to answer calls and schedule appointments 7 days a week. This frees you to focus on daily operations and growing the business without having to be on call yourself. Web-based Proprietary Software System: Our powerful web-based software allows you to conveniently track, manage, and analyze all aspects of the business from any location with an internet connection. Experienced support staff: With ten years experience in the industry, we have a team of highly committed, hands-on team members to support you in all aspects of the business. Dedicated franchise coach: You will be assigned one point person who will help you stay between the guardrails of our system and make sure you feel fully supported to help you succeed. Marketing support: We know who our customers are and how to find them. We help to design, plan and track the success of your digital and print marketing campaigns, offering advice on how to best allocate your marketing budget. We maintain and regularly update company websites and social media outlets, allowing you to be found at the top of search engines and look attractive to future customers. Sales support: Hands on training and support with building and maintaining relationships with key referral sources. Finance support: We have a full time, highly experienced finance manager on staff to help you set up and manage your finances. Training: We offer an initial two day orientation, a week by week checklist to get you up and running, and an additional one week of classroom and in the field training. You’ll be confident in how to run and grow the business by day one. The Junkluggers is proud to support our nation’s Veterans. We are actively seeking Veterans as franchise partners through our association with VetFran, offering a $5,000 discount off the initial franchise fee to honorably discharged veterans. If you or anyone you know is a Veteran interested in a business opportunity, the Junkluggers is proud to offer a $5,000 discount off the initial franchise fee to honorably discharged veterans. If you have ever dreamed of breaking out of the 9-5 grind to be your own boss and wish to have a direct impact on your community as a business owner, then inquire today about starting a Junkluggers franchise of your own.